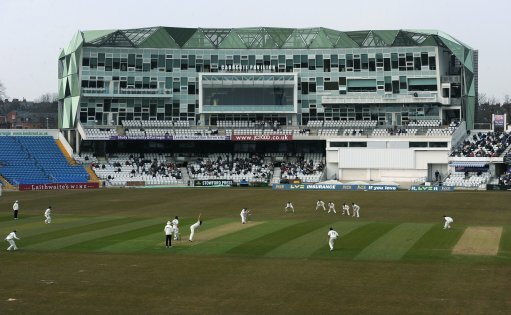 With five of our first eleven away on England duty in a mismatch against Ireland, the Yorkshire team at New Road was something of a makeshift outfit, coping with a large number of absentees. In the final analysis, they pretty much conformed to this description. Having said that, the visitors still boasted three England internationals, so any suggestion that they were at a distinct disadvantage is wearing a bit thin. Instead, our captain's apparent lack of confidence in his own batting line up meant that we gifted them the opportunity to compile a huge score, and their openers duly obliged. Mind you, given the puny efforts of Leaning, Lees, and Rhodes, the captain can almost be excused for bottling it and opting to bowl first. Oh well. All good things and winning sequences must come to an end. Let us hope that the depleted squad can dig deep for our next two forthcoming challenges. They also can't expect the excellent Handscomb to bail them out, as he so nearly did today. Worcestershire versus YORKSHIRE; in Worcester; Royal London One-Day Cup; Friday the fifth of May 2017. YORKSHIRE won the toss. Worcestershire win by fifty-one runs. Worcestershire two points, YORKSHIRE nul points.